Long-time US diplomat. 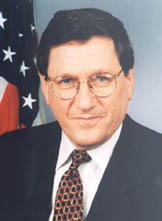 Served as Assistant Secretary of State in the Carter and Clinton administrations, overseeing US relations with communist China as the US and China normalized relations, and brokering the 1995 Dayton accords that brought the war in Bosnia to an end. Special Envoy to Afghanistan and Pakistan, assigned the seemingly impossible task of stabilizing the region and reducing terrorism, from 2009 until his death. As Holbrooke went under sedation for unsuccessful emergency surgery to repair a ruptured aorta, his last words were muttered to a physician: "You've got to stop this war in Afghanistan."